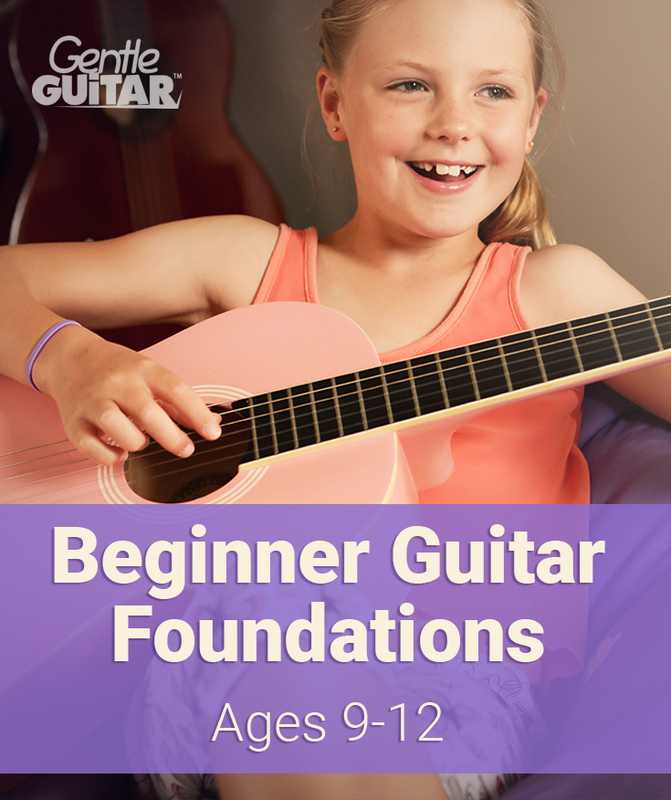 Gentle Guitar™ Teachers are specialists in kids and beginner guitar tuition. These programs can be studied separately or in combination. Based on your playing level and ability your teacher will create a custom study plan that is right for you. Book your free trial lesson and get evaluated by a professional teacher. Foundations are the backbone of success. When it comes to guitar playing, most students and teachers skip the foundations in order to start playing songs faster. This is a big mistake. 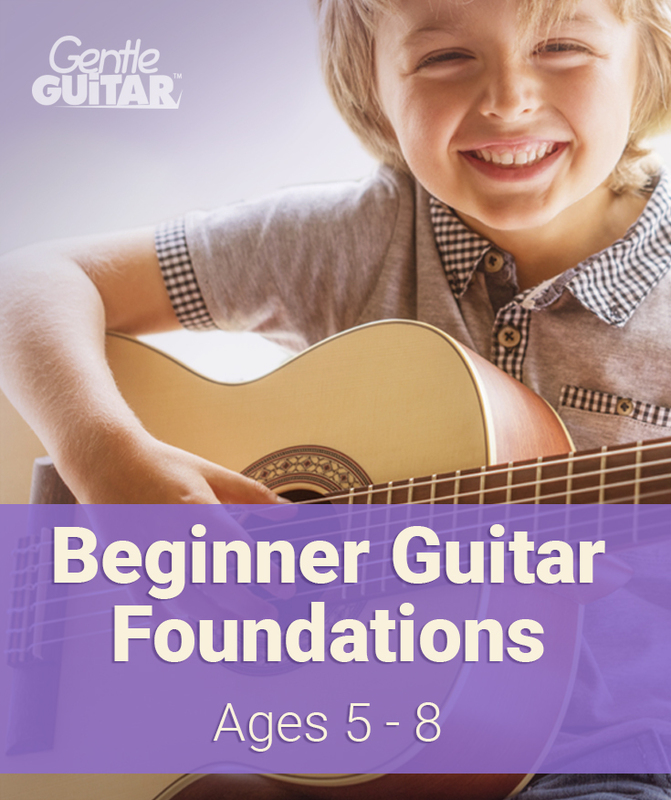 Foundations can be fun to study, while correct technique will set you up for a life of guitar-playing success and enjoyment. 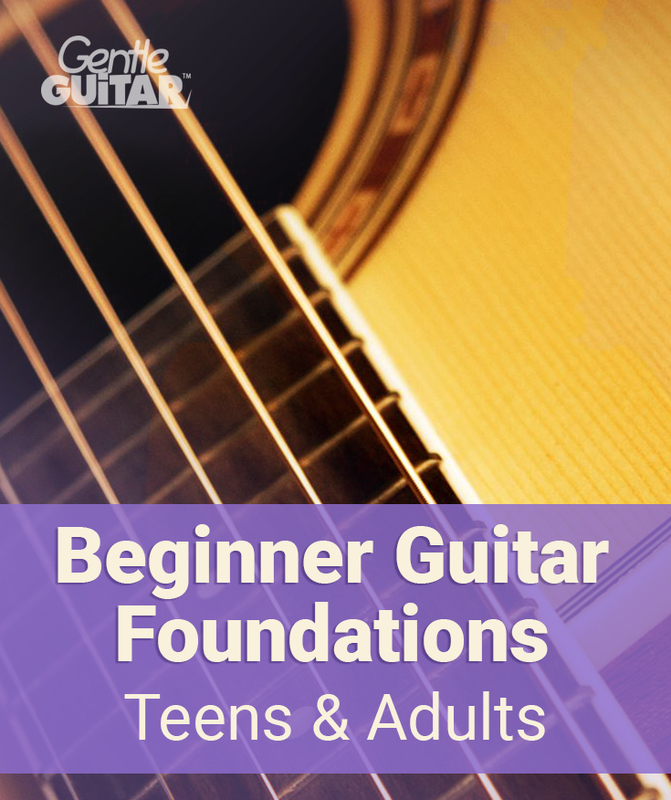 Learn professional guitar and musicianship foundations the fun and easy way. 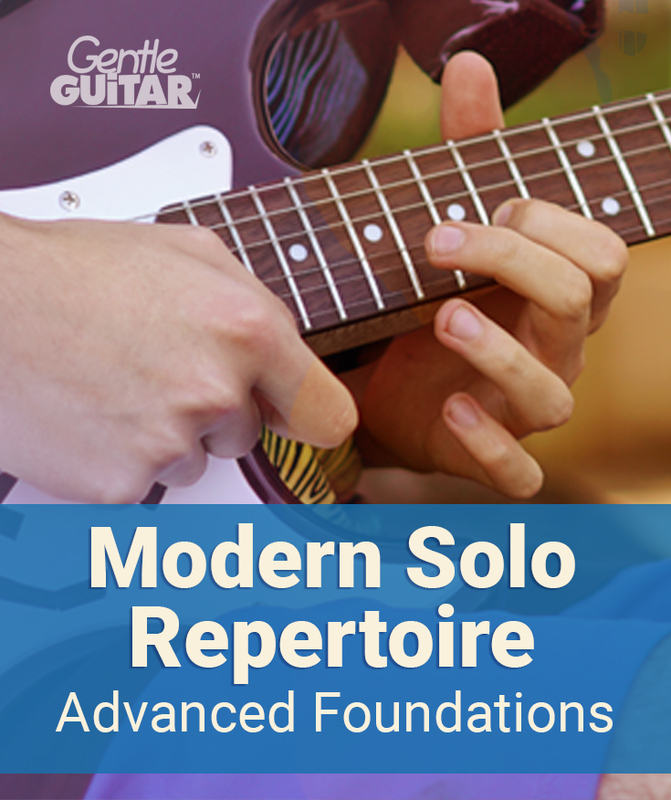 Modern Solo Repertoire is the continuation of the Beginner Foundations program. Here you will continue building on your musicianship foundation while also learning to play solo arrangements of traditional and popular songs. 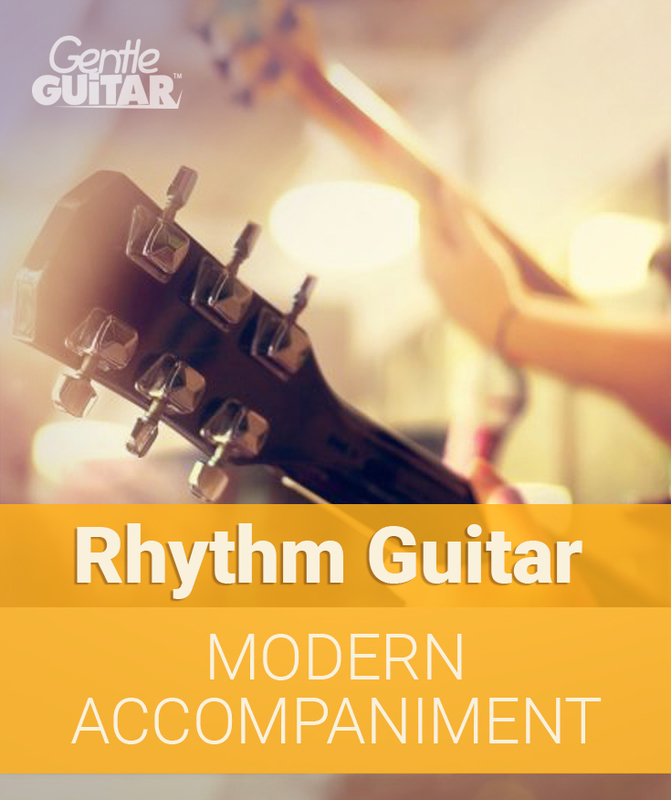 You will build a modern repertoire of your favourite songs to play on the acoustic or electric guitar. You will study scales, theory, advanced technique, arranging, improvisation and read music across the fretboard. 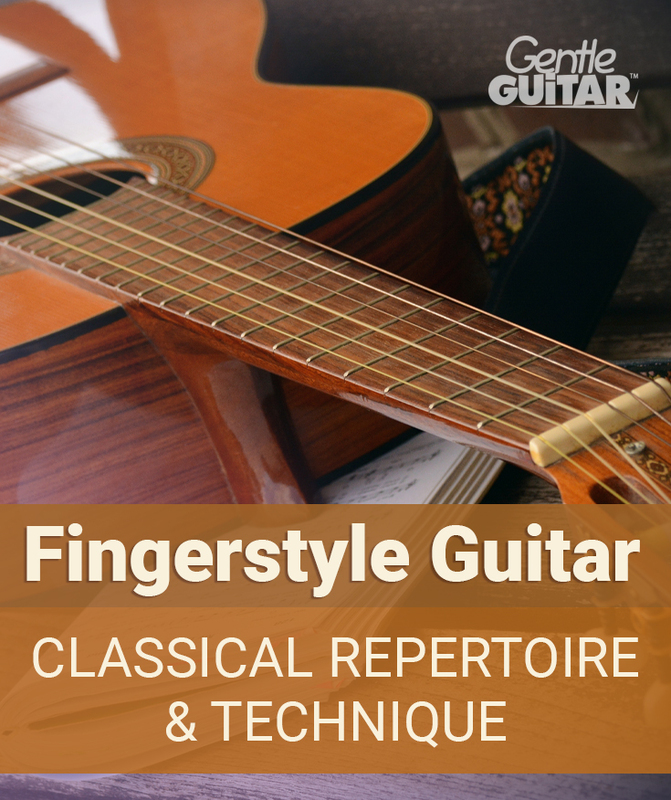 This program is a pre-requisite to Fingerstyle Guitar – Classical Repertoire & Technique. It is also a pre-requisite to graduate the Gentle Guitar™ School and move on to work with the world’s top classical, rock, or jazz teachers in our network. Recommended for kids who want to study music in school, homeschool or college, for anyone who wants to perform popular pieces solo, and for anyone interested to play the guitar semi-professionally or professionally. After you’ve worked hard to master the foundations, it’s time to have fun! Learn to play your favourite popular songs, join a Church band, or write your own original songs! 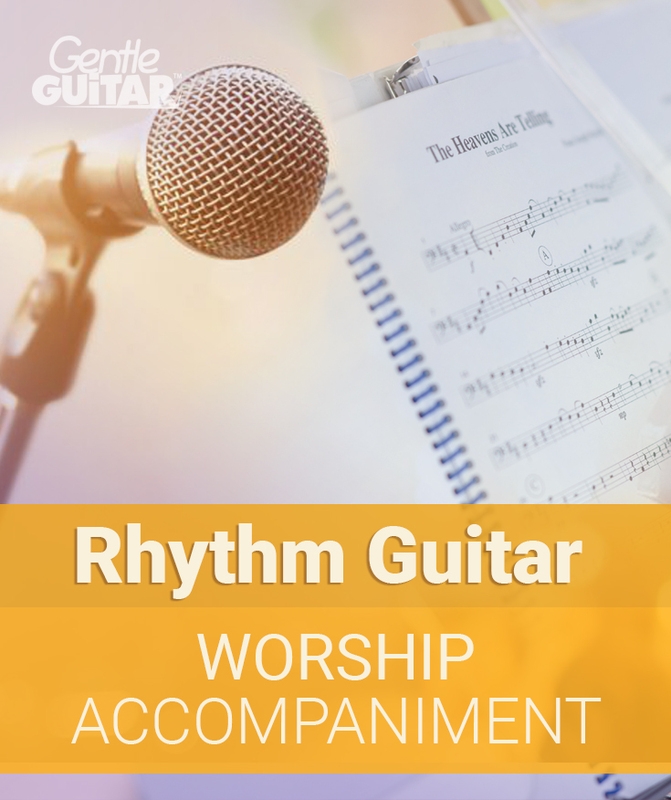 The Rhythm Guitar programs are designed to teach you a variety of accompaniment techniques so that you can play, create and enjoy much more than strumming the basic chords. Get to know the instrument and use its potential to discover your unique sound. Recommended for anyone who wants to play the guitar for personal and social entertainment, for songwriters, and for those who wish to master the guitar as an accompaniment to songs and singers. Properly played fingerstyle acoustic guitar is one of the most beautiful and soothing sounds on the planet. But play it poorly, and it’s full of broken rhythm and buzzing strings. Playing fluent fingerstyle guitar takes years of mastery. At Gentle Guitar™ fingerstyle guitar is our passion. When you have a solid beginner foundation, you can study the more advanced techniques of modern and traditional fingerstyle guitar. We are here to help you play your favourite guitar pieces fluently. 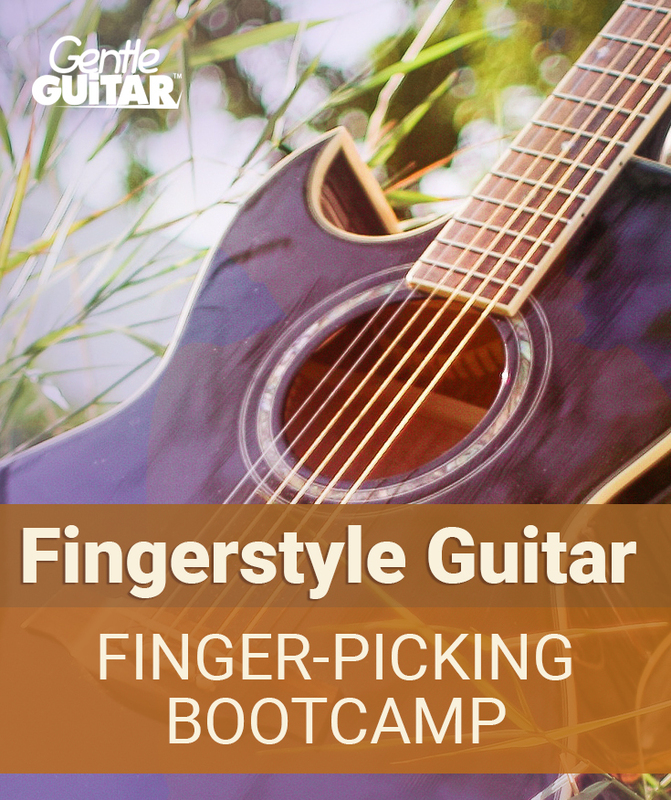 Recommended for singer-songwriters, acoustic guitarists, and anyone who wants to master professional finger-picking techniques for modern or classical guitar.